"INCREASING WOMEN'S AWARENESS ON GOOD GOVERNANCE IN TANZANIA"
First and foremost CCDO Management Team are thankful to AWDF (African Women's Development Fund) for their generous support that enables us to accomplish our objectives geared towards increasing women’s awareness on good governance in Tanzania. CCDO is going to launch the project of "Increasing Women Awareness on Good Governance in Tanzania " on 08th/06/2013 at around 04:30 am. The venue will be at the office grounds of Kihesa Sokoni Ward in Iringa region. The guest of honor will be the Hon. Sophia M. Simba (MP) the Minister for Community Development, Gender and Children. Nomination and awarding computers to all students from Iringa Region Secondary Schools who won the prepared essay competition by CCDO. "Come and Share the Joy of Caring Us......."
Global Giving 2013 Open Challenge begins on Monday, April 1st! We are so excited to inform all friends of development that Our project Name: WOMEN CAPACITY BUILDING AND EMPOWERMENT. has been approved on Global Giving ready for the start of the Open Challenge which started monday, April 1st, 2013. Project Name: WOMEN CAPACITY BUILDING AND EMPOWERMENT. Click on http://www.globalgiving.org/projects/capacity-building-and-empowerment-project-of-iringa/. to donate for this project. For any technical assitance please call: +255765568096 or email us at : childrencareorg1@gmail.com. Success story: The Children Care Development Organization (CCDO) is hereby to inform its all partners, friends and the community at large that we have established partnership with the International Aid based on support to the provisional of medical equipment aid. This project aimed to engage boys and girls in reducing the rates of violence against women and girls through practical ICT solutions while our objective is to develop and strengthen the skills of men and boys, working in partnership with boys and girls, to identify and respond to issues of gender-based violence in schools and their communities. Therefore, we are hereby to request you to join with us in this campaign for the promotion of women and girls rights in Tanzania. REQUEST PARTNERSHIP FOR THE CONSTRUCTION OF EUROPABOOK INTERNATIONAL CHILDREN REHABILITATION CENTRE IN IRINGA REGION, TANZANIA. Grand Requested: 35500$ or Centre Equipment Materials Aid. Location: Mkimbizi Village, Iringa District – Iringa Region, Tanzania. Implementer Agency: Children Care Development Organization. Account Name: CCDO, Account No: 01J1023036400 CRD BANK. CCDO Contribution: 10 Land Acres, manpower, sand, stones and 8500$. The overall objective of this project is to wage war against child labour, motivate the school dropout, child labour and neglected girl children to get back to the formal school by giving psychologically and physically training, giving importance on nutritive status of children, provide cultural and sports development, more focus on rack pickers, street children for bring them to main stream of the education, provide good education, food and scholastic materials, vocational training, orientation and skill developments of beneficiaries, motivate the parents and community for change their attitude about ignorance of importance of children education, provide more opportunity for children to learn about arts, science and social etc, to develop changes in policymaking level by lobby and advocacy, and active involvement in school betterment committees. However, the major goal of this project is to help disadvantaged children get an opportunity to study for self sustenance and NOT dependants on the community they live in. Therefore, this project is applying grants valued at 35500$ for the construction of Europabook International Child Rehabilitation Academy and capital start up for running income generating activities for the sustainability of the Centre. The deteriorating conditions of primary and elementary education systems in the rural areas of our country are a well-accepted fact. Education has been characterized by a high pupil-teacher ratio, teacher absenteeism, teaching and learning atmosphere, poor school infrastructure, no camaraderie between the community and school, high drop-out rates, child labour, poverty, deaths of parents due to HIV/AIDS and or guardians, parental negligence, changing family culture, peer pressure, gender imbalances, and gender imbalance and rural-urban linkages. 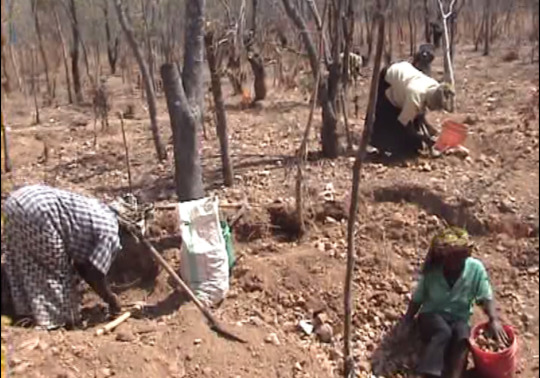 Since the economy of Iringa is vulnerably peasant agriculture, most families facing hardship at home, fail to afford school contributions of expenses to meet basic needs for the family due to family size as a result, children from these families opt to work in order to sustain their lives and other siblings. A large number of studies conducted by different organizations in different parts of the country reflect this situation. Although sometimes parents and teachers are trying to get the girls back at school, they’re still refusing. That’s because the girls mostly don’t have role models and don’t say the positivity of finishing their education. “What’s the point of studying hard, when your future vision is ‘just’ to become mother and housewife?” To decrease this high drop-out rate, the Children Care Development Organization (CCDO) introduced different kind of intervention. Civic education (talking to parents and learners trying to get some awareness for the importance of education) and mother groups are some of those interventions as like establishment of Europabook International Child Rehabilitation Academy, vocational training, income generating education activities for their self education awareness. 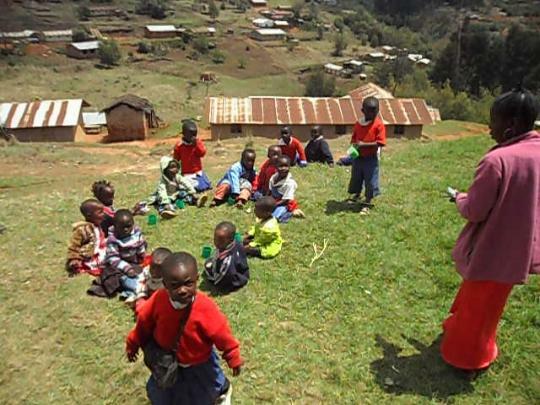 The project is planned to undertake at Mkimbizi village of Iringa district of Iringa region, the project is estimate at this villages after realizing the need and identifying the problem of child labourers. The project location is underemployment and poverty oriented and also some small scale business activities in which rack pickers, working in hotels, garages, sexual workers, coolie work, lumbering, making bricks, fishing at Mtera dam and tea plantation for low wages without any incentives and other facilities as result they turn back in criminal and beggars’ activities. 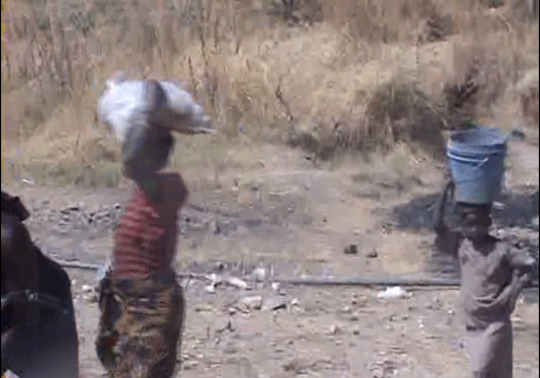 They are forced to go for migration in searching of employment to earn daily bread. This affects them in the dropouts of school of their children. Poverty is the root cause for migrations. After dropping education children are also used to work with their parents and some of the children are put in coffee plantation and bricks making, agriculture and domestic works to earn bread for the family. More details in background and introduction of the project area. 2) To inculcate entrepreneurs skill in the youth, to make youth self-employed and initiate the youth to be engaged in sporting activities, vocational training, and build a culture of reading books for their life style innovation and creatively. 3) To establish the Europabook International Child Rehabilitation Academy, establishing a recreation business and library information centre. 4) Motivate the school dropout, child labour and neglected girl children to get back to the formal school by giving psychologically and physically training. 6) Provide cultural and sports development. 8) To develop changes in policymaking level by lobby and advocacy. 3.1.0 STATEMENT OF THE PROJECT PROBLEM. Completion of the Europabook International Child Rehabilitation Academy recreation business and library information centre. Pay school fees, uniforms and other scholastic materials. Organize meetings with the guardians, committees and Local leaders. Provide animals like cows, goats, pigs, in the needy homes. Most of the / child labourers youth in town are unskilled. Most don’t have enough knowledge on enterprise development, petty trading and related activities. Some have skills but their knowledge is traditional. Besides, they have no start up capital. Therefore, training on business development and going to envisaged business of their interest is the first step. As mentioned earlier the child labourers/ youth have nowhere to spend their time. Besides, as there is no job there is high unemployment. Therefore, a center that can be used as both recreation and business should be established. In the center there will be shops for young small-scale businessmen, cafeteria, sport center, information center and film showing center. In the shops & cafeteria those youngsters who took training and revolving credit shall undergo the venture of their own interest. The sport center shall provide indoor game services .The information center will give internet and information services. Film showing will launch in the small hall that is to be constructed together with the above centers. In these centers the remaining youth shall spend their time for recreation. To be engaged in trading activities in the center (business & recreation) they need start up capital. To this end, they should be given revolving fund to those interested that will be collected back. The beneficiaries are those who are going to trade in the shops, involve in cafeteria service, in running sport, information center and film show. The repaid money will be given again to others who didn’t get the credit. Children support activities seeks to improve lives of poor children through vocational skills for orphans and vulnerable youth (carpentry, computer maintenance, tailoring and hairdressing), educational support for 121 children, functional Adult literacy training, community development activities (micro credit; sustainable agriculture; food aid to orphans and widows; health and hygiene trainings), environmental protection (energy saving stoves, biogas production; rain water harvesting; use of compressed soil bricks), running a cinema showing didactic movies and cartoons to the children of the slum, supporting to the local community through the distribution of mosquito nets, scholastic materials, clothing, school fees, food, medicaments, organizing sport and drama activities for the youth of the slum, and income generation through movie shows/ sale to cover part of the costs of the organisation. The project plans to construct a child labourers / youth center for the youth and the poor families of women living with HIV/AIDS in and around Iringa district on a land owned by the CCDO, which is located at Mkimbizi area. The center will comprise, a multipurpose hall, some classrooms, a library books storage room, two offices and toilets. The center will accommodate the literacy school for adults, a course of ICT, some recreational activities, one library and the didactic movies projection in which the target beneficiaries are 1500 persons. The youth center will be used to improve the management of local NGOs partners and thus increase their levels of sustainability. The main activities of the center are a literacy school for the children and professional trainings for youngsters and women, but it will host also some activities addressed to the whole community; a shop for selling local handcraft and sewed cloth by our trainees, trainings for local partner organization staff members, awareness meetings and free cinema. One of the rooms will be fitted with shelves and stocked with reference books for infants, youth of primary and secondary school level plus general reference books and magazines. Other related assets would be a public address system, music system, a video and television system in door and out door games. The place would be organized into a resource and recreational centre where the youth can meet and recreate in a constructive and guided way. Where they have access to resources and information that enables them to be connected to wider society and to the world. Where awareness and sensitization programs can be run on HIV/AIDS, male / female relationships, drug abuse, cultural heritage and tourism advertisement with reference from Kitulo National Park, Mkwawa and Isimilar achieves including Ruaha National Park which is the largest in Tanzania etc. 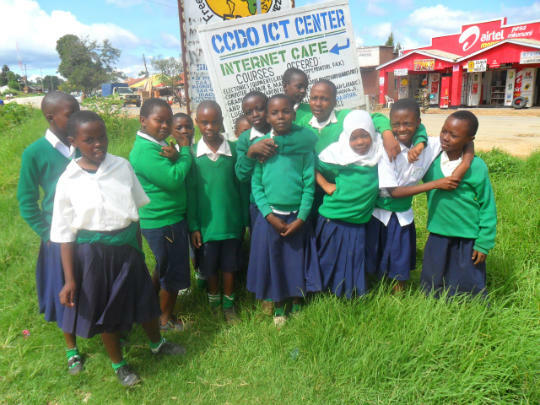 The course of computer directed by CCDO animators will involve the young people of the community of Iringa and the women who cannot be admitted to similar courses because of the age, of the cost and the level of education. 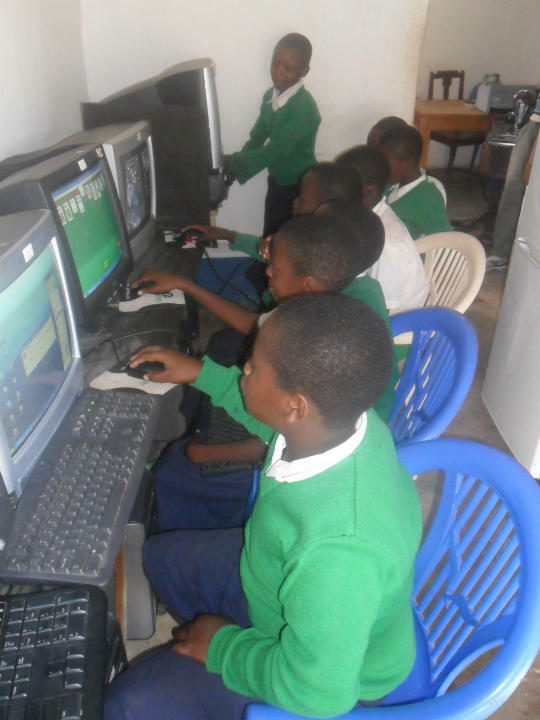 This program of computer science is the only one existing in the zone of Iringa region. The number of beneficiaries will target a particular part of the population, on average 250 youngsters and 150 women. The center will also offer the possibility of using computers facilities in order to train local NGOs staff, Teachers, Business people, Farmers, District Councilors and improve the quality of their administration, and acquire ICT skills for all the beneficiaries of the center. In the aim of improving the life quality of disadvantaged persons and to give a professional qualification to the young people, CCDO will improve the quality of the existing vocational skills training, and increase the number of beneficiaries through acquisition of more training materials and instructors. Because of the problems off insuring a constant supply of electricity (sometimes the distribution is limited to 3 – 12 hours per day) CCDO will purchase a three –phase generator. At the end of the professional training the graduates will receive a professional kit (box of tools, sewing machine,..) that will put them in the position to start quickly working on their own. The total number of beneficiaries is of 250 young people. Also, CCDO will organize vocational trainings for disadvantaged youth aged from 12 – 30 years, with the aim of offering vocational skills for job in the following skills areas; tailoring, hairdressing, ICT, video making / photo making in which the project will be benefiting 60 tailoring,200 ICT, 52 hairdressing, and 30 video-making / photo youths. In order to limit the spread of AIDS diffusion among the population of iringa district, CCDO supports 7 childhood cancer and 120 affected families whose children are already beneficiaries of the center. The HIV affected persons are supported through the subsidies of medical care for the affected and start up input for the head of family in order to set up income generating activities. Furthermore the beneficiaries of the program will be referred to medical centers in order to receive free medical care and antiretroviral. Among the families supported by CCDO, 40 of them, the most disadvantaged ones, will receive a further support through food distribution. The project plans to carry out staff training of local NGOs, FBOs and CBOs through seminars of two / three days on the following topics; human resources management, fundraising strategies, entrepreneurial and innovation proposal writings, accountability and transparency, civic education, women/ youth participation, HIV/AIDS prevention, midwives and traditional birth attendants training, family planning, sustainability, project coordination, administration, project formulation and design, monitoring and evaluation, and similar project relating to GBV training and sexuality education including cultural heritage and tourism poverty reduction projects since Tanzania has no cultural heritage policy. The aim is to improve the management capacity and the organization of the local organizations. The planned number of beneficiaries is 20 persons / seminar. Once every month the main room will host sensitization and awareness meetings under the facilitation of professional and experienced trainers. The meetings will be followed by a discussion among the participants. The main topics will be; gender based violence, HIV/AIDS prevention, children rights, general health, and life saving strategies, women empowerment, cultural heritage and tourism promotion. The planned number of beneficiaries is 72. This activity aims at to improve NGO literacy program of informal classes for the most disadvantaged children of the slum. The aim is to give a first education to the ones whose families cannot afford the cost of a pre-school and therefore who don’t have the possibility to be prepared to pass the admission test for primary school. As part of the program, the families of these children will attend a monthly meeting to check on the performance of the pupils and will benefit from other trainings such as counseling on family planning and foreign languages (French, Chinese, Arabs, Italian and Germany). a) Construction of the sport center ; we plan to construct a sport facility that will include showers, dressing rooms, bathrooms, once meeting room, a field for soccer, one for volleyball and one for basketball. b) Sport activities; the main activity of the center will be the improvement of the already existing soccer trainings. With the opening of the new sport grounds we will have the possibility to organize new sports activities for the free time of the young people. The youngsters who live in the town can use the cafeteria, sport center, and information centers and film center for recreation. Therefore, the center benefits the whole youth of the town. Sporting materials will be bought and given to football and netball team, volley ball team and tennis table team. CCDO shall in collaboration with different line offices shall monitor their progress. The Project Coordinator and supervisors coordinating the programmes and monitor the activities through visits, meetings and reports. She also supervises the teaching staffs this project work. The regular reports of the project are the tool for evaluation of the project. The Project Coordinator keeps abreast of implementation schedule of different activities, reviews progress of the Child Labour Care Centre project at periodic intervals and closely interacts with different project functionaries for the smooth and effective implementation of the project. 1) Established Europabook International Child Rehabilitation Centre, recreation business and library information centre. 5) Number of scholastic materials, uniforms, number of distributed mosquito nets, issued to our school children. 6) The amount of money obtained for the construction of our Europabook International Child Rehabilitation Centre. 8) Mobilized number of sport materials. 9) Number of established recreation business centres. 10) Number of identified most vulnerable children and child labourers by gender. 11) Number of enrolled children in secondary schools, colleges, universities and employed in public and private sectors by gender. The sustainability of this project will be guaranteed because the project involves the participation and collaboration of all concerned line offices and community. The beneficiaries through training given to them shall handle their business properly. The startup capital given on credit basis will be profitable as the beneficiaries are engaged in trade of their interest. Using the profits they will undergo their business on their own capital. Their repayment shall be used to provide as credit for who are even outside the center. It revolves from one group of beneficiaries to other youngsters. By doing so the revolving fund is expected not only to benefit the first beneficiaries but also majority of youth who have zeal to be self – employed. The project in general is expected to reduce unemployment rate. In this project we request you to grant 35500$ for the completion of the Europabook International Child Rehabilitation Academy and library Information Centre. The assisted grant will be used for purchasing iron sheets, cement, timbers, making library shelves, painting colour, school furniture, roofing, nails, transporting materials from the source to the field, and school furniture’s. For full project proposal just send email to us: childrencareorg1@gmail.com or Lmayova@ymail.com for your donation to this loved most vulnerable children (orphans) who suffer from the lack of medication care, balanced diet, care ,school materials, clothing and love from the community. 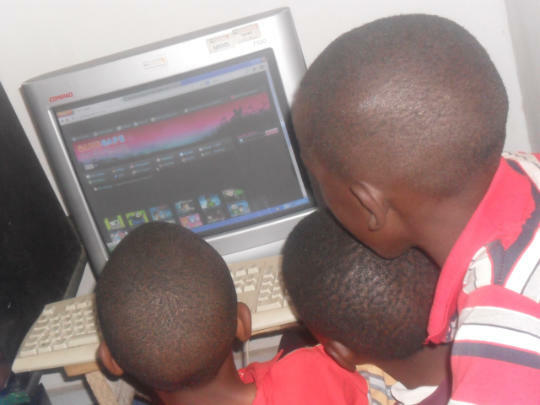 In the current wolrd of globalization it is more useful for our childrens to learn how to live in the globalised world, the children on the photograph above enjoys the techlogy of using computers aided by World Computer Exchange, and the Computers 4 Africa org. They all thank the WCE and Computer 4 Africa for their positive contribution to CCDO, where they all acquire ICT knowledge. 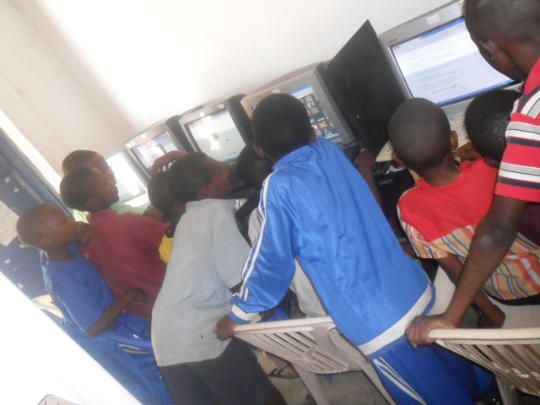 Childrens enjoying ICT cervices at children Care Development organization Computer library located within Iringa municipal. Requesting Partnership for Provision of Obstetric Kits to the Europabook International Children Health and HIV/AIDS Research Hospital Project. SUB- PROJECT: Accelerating Reduction in Maternal, Newborn and Child Mortality and Morbidity through Improved Access to Skilled Attendant at Birth. Number of people who will benefit: 50 Midwives and as many as 200-300 women delivering for each midwife will benefit. About the beneficiaries: The beneficiaries are the patients of the midwives trained in Tanzania, and the midwives themselves. Non-financial contribution: Distribution and the rest of the training associated with midwifery. Modalities of Implementation: For those interested in this partnership just contact us by this email: childrencareorg1@gmail.com or with our CCDO Patron Sir Roberto Carpano – Director and Founder of Europabook Organization by his email roberto.carpano@europabook.eu (www.europabook.eu) for full Project Proposal partnership. The project seeks to mobilize midwives, including those newly qualified from Tanzanian Schools of Midwifery; unemployed midwives and retired but able midwives for deployment to health facilities in rural communities to undertake one year community service. The one year service would be mandatory for the newly graduated basic midwives, preparatory to being fully licensed to practice midwifery in Tanzania. The purpose of the project is to increase skilled attendance at birth so as to facilitate reduction in maternal, newborn and child mortality and morbidity. The main goal of this strategic plan is to reduce maternal, neonatal, and child morbidity and mortality and to attain Millennium Development Goals number 4 (to reduce child mortality by two thirds from the rate in 1990) and number 5 (to reduce maternal mortality by three-quarters from the rate in 1990). The target date for achievement of these goals is 2015. To strengthen the capacity of individuals, families, communities, and organisations to improve maternal, newborn, and child health. In traditional Tanzania culture, families and children are the core of society. Becoming a mother is central to the life of every woman. Raising healthy children to continue your family is of unquestionable importance and joy. However, in Tanzania today, the lives of women and children are jeopardized by extremely poor health conditions. While, maternal and neonatal mortality as we all know is now a global issue, this is considering the fact that concerned stakeholders on health are now involved in the fight to ensure universal access to improved maternal and child health. Even though the developed world has a remarkably low level of maternal mortality rate (790 deaths/100,000 live births (2008), developing nations like Tanzania has one of the worst maternal mortality data in the world. It is worthy of note that the causes of this maternal death are largely preventable if appropriate interventions are taken towards reducing the three forms of delays in accessing health care and ensuring skilled attendance at birth. As the deadline for achieving the Millennium Development Goals (MDGs) draw nearer. Tanzania seems to be moving further away from achieving MDGs 4 and 5 which is aimed at improving maternal, neonatal and child health by ensuring universal access to quality maternal health services. CCDO is seeking the set of tools in the Tanzania women obstetric kits. The solar light, mobile phone charger and other remainders for postpartum hermonhage prevention will be given to the midwives as a graduation gift. CCDO seeks first to ensure the safety of these newly trained midwives (light and phone charger) and second to ensure that they are equipped to save mothers lives. The CCDO obstetric kit parks a number of key tools together in a park which integrates a reminder flow chart on a life saving protocol. In this case the midwives will receive the packs as part of their midwifery training which an investment in the future is livelihoods of these midwives. The ability to pay for health sector employees in Tanzania is extremely low. The agenda is to ensure that the midwives work in remote under resources areas since the project agenda seeks to provide an emergency stop gap to the shortage of midwives tool kits and human resource shortage of skilled attendance at our primary health care system. The trained personnel in this program shall be graduates of Schools of Midwifery. The midwives will be trained at the Europabook International Children Health and AIDS Research Centre (formerly Iringa International Children Health and AIDS Research Center) to offer emergency obstetric and neonatal care service as a referral backup for the midwives at the various primary health care facilities where they will be posted. In setting up our partnership in this project it was agreed that CCDO management including hospital staffs will be trained on how to consolidate our reciprocal exchange of skills, capacity building training, knowledge and experience in this partnership application, on how to maintain the given medical equipment, training on how to operate the supported equipments, and the donor partner will execute this training and not only to the CCDO and hospital management but also to the traditional birth attendants, midwives learners, nurses, to engage in HIV/.AIDS research activities and other activities triggered to surgical operation, laboratory test, X-ray experiment and etc. The project partner and the CCDO will arrange together to provide this training with budget support from CCDO sources of fund and its partnership. Standard basic health packages would be procured to ensure availability of commodities and appropriate equipment for the provision of quality service. Within each political ward (or based on resource availability, 3 to 4 selected wards/ CCDO strategically placed based on geographic spread); a primary health care centre would be identified to serve as the Basic Essential Obstetric Care Centre (BEOC). Necessary support would be provided to the CCDO- Europabook International Children Health and AIDS Research Hospital. These would include; Renovation or Upgrade, supply of medical equipment, supply of drugs and other medical supplies (with priority for obstetric requirements), procurement of midwifery kits for all the midwives and PHC centres, and procurement of Laboratory kits [or sourced from partners]. Therefore, the Centre would serve as first level referral from all other health facilities within the political ward or geographical catchments where focus antenatal care and delivery might have been provided by other cadres of staff other than midwives or medical doctors. In addition, the midwives would be kitted for outreach services. However, in this partnership we do not like to be supported money but our concern is to be supported laboratory equipments and medicines only and among the requested laboratory include includes: 1 biochemistry machine, 1 CBC machine, 1 haemoglobin machine, 1microscope, 1 centrifuge machine, 1 hot air oven (sterilization), 1 CT scan MACHINE, water bath, 1 ultrasound machine, HIV reagents, and 1 x-ray machine and chemical laboratory equipment. The CCDO will be committed to incur into consignment or shipment cost as a means to show the necessity of this application project that would be beneficial to the communities of Tanzania citizens. But this will depend on the Project donor conditions. The CCDO will adopt the policy of sunshine governance throughout the implementation process of this project. This will ensure accountability and transparency in the management of resources since our CCDO staffs are enthusiastic and committed to the Donor(s) project activities. Therefore, we should be happy to receive any kind of humanely donation that should successfully this application. 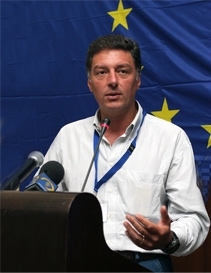 The management of CCDO is very happy to inform all our partners and stakeholders that the right Executive Director of Radio Vatican and Europa Book Organization Mr. Roberto Carpano is our CCDO Patron for the Tanzanian children development welfare.